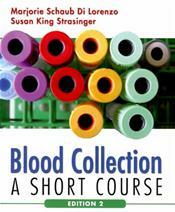 Abstract: Perfect for intensive one- or two-day phlebotomy courses! 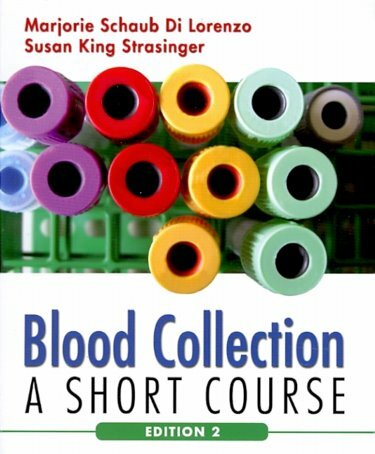 This user-friendly text concentrates on the crucial skills of blood specimen collection...making it a cost-effective, compact learning tool for cross training and continuing education. New chapters on IV Insertion and Central Venous Catherter, and Point of Care testing. and Point of Care testing. Updated photography program. Updated content. Covers blood specimen collection equipment, including safety devices and technical procedures for venipuncture and dermal puncture. Features a self-assessment exam that meets the requirements for continuing education protocols. Complies with the standards set by OSHA, the JCAHO, and the National Committee for Clinical Laboratory Standards. Includes a color tube guide.